Hey guys, potential ZHP owner here (anybody selling a rust free manual black sedan? 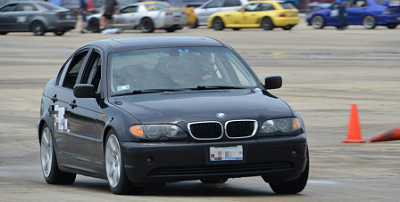 ), but not new to E46s. I've had a '03 325i SULEV since late 2012 (been on E46Fanatics since February 2013, but not very active) and have gone over a lot of it. I also have a '95 Impala SS with 28k miles, and a 2017 Mazda 3 hatchback. I have a pretty varied taste in cars, but one thing I have realized is, that I will always own a BMW. I've been around the block. It has the subframe/rear suspension out of a ZHP (owner swapped it to a S54), 330i brakes all around, adjustable rear control arms, all poly bushings in the rear, Eibach Prokit springs, Bilstein B8s in the rear, projector retrofitted headlights, Z4M FCABs, ZSP heated seats, GROM Bluetooth/USB module, and a bunch of other stuff I'm sure I'm forgetting. Anyway, I've hit a wall with what I can do to the car (within my abilities) since it's a SULEV. I was actually planning a manual swap (have a set of pedals sitting in my garage), and eventually an engine swap, but I came to the stark realization that the SULEV has a unique wiring harness for the fuel system, and I can't retrofit a normal, fully functioning fuel system. Naturally, I thought it was time for a more fun (read: fun to drive and manual) BMW. A few days ago I was talking to a buddy online, and I saw an auction for a black E34 M5 on BaT, so naturally I started bidding on it. As I kept bidding, I realized what I really wanted was another E46, and since I'm partial to sedans (so is the dog), a ZHP was the next logical choice. I'm sure I'll be annoying all of you soon enough! Welcome, sir. Your e46 SULEV looks sharp. Any updates on your zhp search ? Tire Sizes - Can we move up?